not just from their fans but also from the general public. 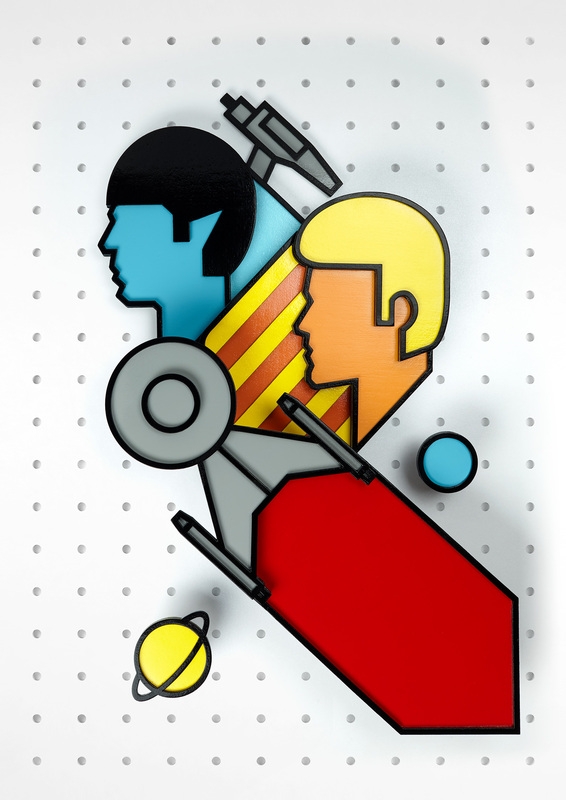 Sitges Film Festival in Barcelona contacted us to be one of the artists in charge of a new collaborative exhibition for the 50th anniversary of the Star Trek saga. We came up with the idea of creating something iconic and easy to identify. Clean on shapes, commander Spock and captain James T. Kirk silhouettes were easy to identify, not just from their fans but also from the general public. and clear outlines to bring a distinctive 70's look and feel. The poster ended up being a wooden sculpture crafted and painted by hand, playing with different volumes and clear outlines to bring a distinctive 70's look and feel.